What are the Best Tips for Cleaning Brick Pavers? A scrub brush can be used to clean brick pavers. A power washer may be used to clean brick. 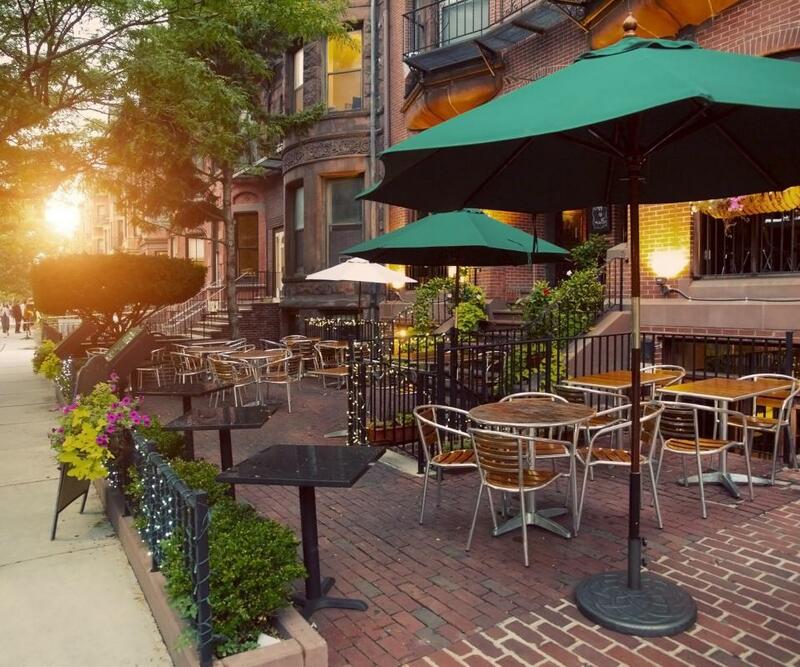 Brick pavers at a sidewalk cafe may need to be swept more frequently than a home patio. Use soapy water and a brush on stains. Cleaning brick pavers keeps the patio or walkway looking nice. The natural dirt and debris from the outdoors accumulates on the pavers over time, creating a coating that makes the brick look dull and grungy. Cleaning brick pavers on a regular basis prevents thick accumulation of dirt, and deep cleaning techniques help restore brick pavers. The cleaning process also can reveal that pavers that might be cracked or damaged, allowing them to be replaced. The best tips for cleaning brick pavers include using tools such as a scrub brush and a sturdy broom, using a hose or power washer to spray off stubborn dirt and using a sealant to protect the pavers from damage. The supplies for cleaning brick pavers vary depending on how dirty they are. A broom is a basic tool for regular brick paver cleaning. A hose or bucket of water with mild soap serves as a suitable cleaner for brick pavers. 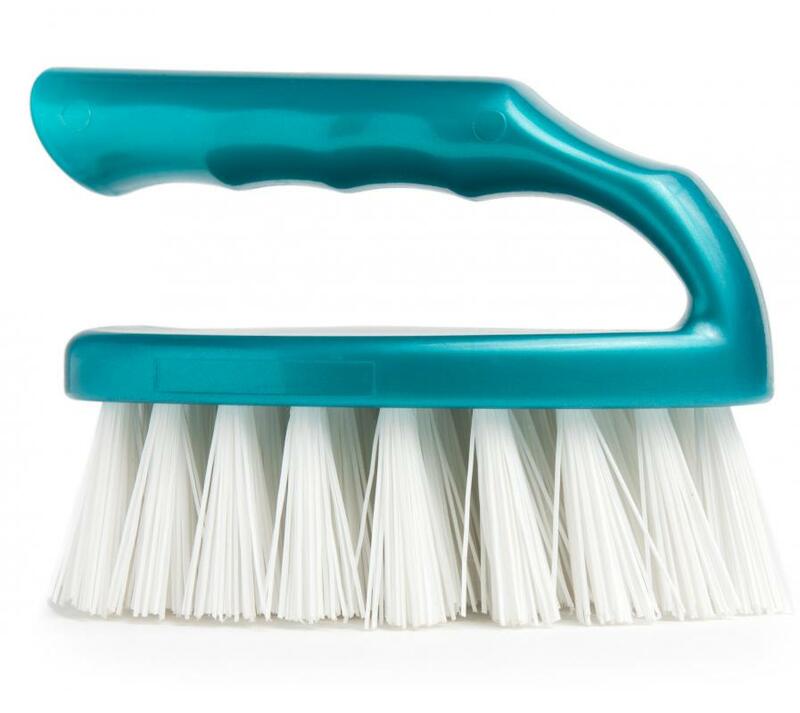 A scrub brush provides scouring power for stubborn spots and stains. Specialty brick paver cleaner is also available at many home improvement stores but often costs more than detergent already on hand. Sweeping the brick pavers on a regular basis keeps dirt, leaves and other outdoor debris from collecting on the paver area. Removing the loose dirt prevents it from compacting and sticking to the bricks when it rains or otherwise becomes wet. A stiff, sturdy broom works best for sweeping away the dirt. Starting near the house and sweeping away from the house, toward the edge of the pavers, generally works best. A powerful garden hose helps remove more stubborn dirt when cleaning brick pavers. The water powers away the dirt and debris that is stuck to the pavers. Holding the water spray at an angle helps push the dirt off of the paver area and keeps the water away from the house. It might also help in getting under the debris for easier removal. A power washer is an option for stubborn dirt, but it should be kept on a low pressure setting to avoid damaging the brick or washing out the sand between the pavers. If a spill or stain occurs on a brick paver, the spot should be wiped up immediately to prevent it from setting. 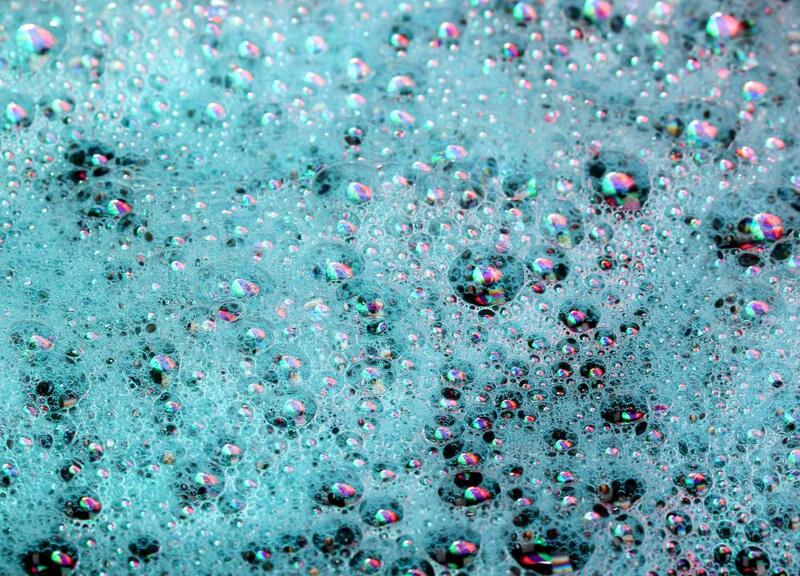 Scrubbing with warm, soapy water and a soft bristle scrub brush helps the stain come out. If the stain will not disappear, professional stain-removing solutions made specifically for brick pavers are an option. A test patch in a low-visibility spot ensures that the stain remover won't further damage the brick pavers. Sealing the brick pavers is an option for keeping them clean longer. 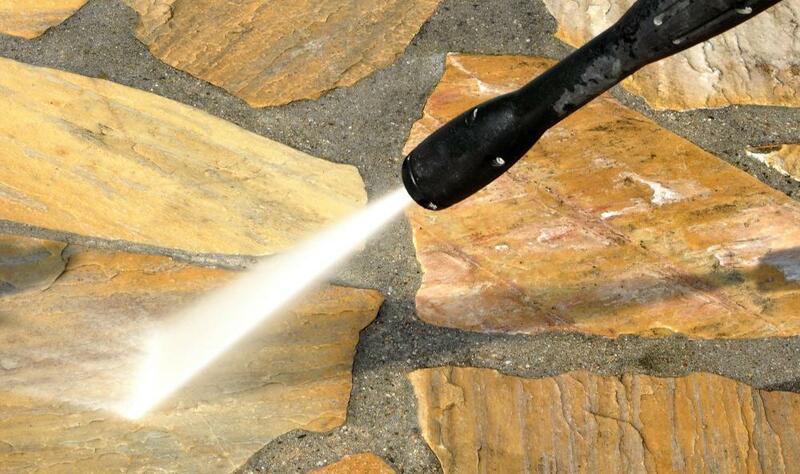 The sealant protects the pavers from scratching, stains and dirt accumulation. Stains are less likely to set in on the pavers if they are sealed. The dirt and debris might also wash off easier to aid the process of cleaning brick pavers. How do I Lay Pavers over Concrete? What are the Best Tips for Installing Brick Pavers? I dislike pavers. Dirt patios are best.